June 4 and August 4 are two important dates in Indian political history. They mark the birth and death of a party for which there is a growing nostalgia among people who were familiar with it; a growing curiosity among young people who have only heard about it; and, interestingly, a growing yearning for something similar among people who are completely ignorant of it. The Swatantra Party was born on June 4, 1959, and put to death on August 4, 1974. In those 15 years, it blazed a memorable trail across the Indian political firmament, daring to be the voice of a liberal-democratic order in a political and int­ellectual climate overwhelmingly socialist. It was not the only right-wing voice; there was the Jan Sangh (the precursor of the Bharatiya Janata Party), older to it by eight years, but that had a more conservative-nationalist pitch. There was a smattering of other right-wing political formati­ons, but these two were the only ones with a significant presence. The Swatantra Party has faded from memory since the late 1970s, though the Maharashtra unit still exists, nurtured by the untiring efforts of an 80-plus S.V. Raju, who was the party’s executive secretary. In 1994, Sharad Joshi launched the Swatantra Bharat Party, which claimed to be the ideological successor to the Swatantra Party. 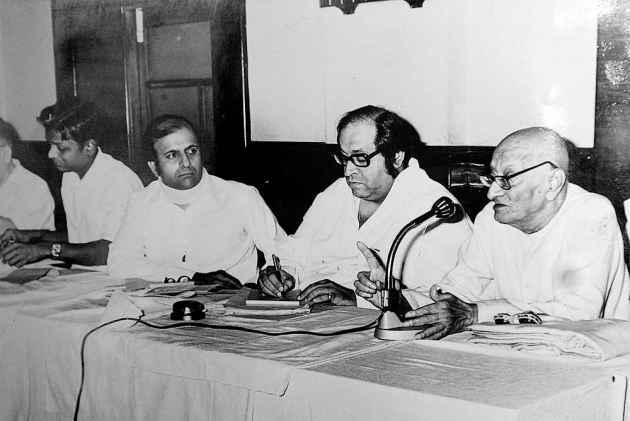 Discussion about the Swatantra Party was for long largely confined to the pages of the Freedom First magazine and the Indian Liberal Group (both initiatives of Minoo Masani, one of its founders) and a bunch of right-of-centre liberal activists and intellectuals. But talk about the Swatantra Party has spilled out of this small group in recent years and there is a growing interest in it. This is particularly marked among many urban middle-class individuals, who find themselves without a political voice beca­use they can neither identify with the meaningless affirmations of socialism and secularism by the Congress (and certainly not by the servile obsession with the Dyna­sty), nor with the social and cultural conservatives in the BJP and religion-based parties. They see themselves as liberal and secular, but are uneasy with the one-sided liberalism and secularism that gets routinely hysterical about majoritarian communalism and illiberalism but is mildly censorious when minority groups indulge in the same. They believe in individual rights over group/minority rights. They reject socialism in any form but are uncomfortable with the way market-oriented policies have played out in India. This section has been yearning for a centre-right party. Will the Swatantra Party fit the bill? The Swatantra Party’s origins had to do with the growing unease of the party’s founding triumvirate—C. Rajagopala­chari or Rajaji, Masani and N.G. Ranga—and several others with Jawaharlal Nehru’s determination to take India down the road of centralised economic planning and state capitalism and his autocratic style of functioning. Though we now talk about the 1950s as the halcyon days of the Indian polity, all the ills currently plaguing it—the arrogance of the politicians, the unaccountability of the bureaucrats, the destruction of institutions, the corruption in public life—had begun rearing their heads way back then. This was seen as an inevitable consequence of Nehruvian policies. 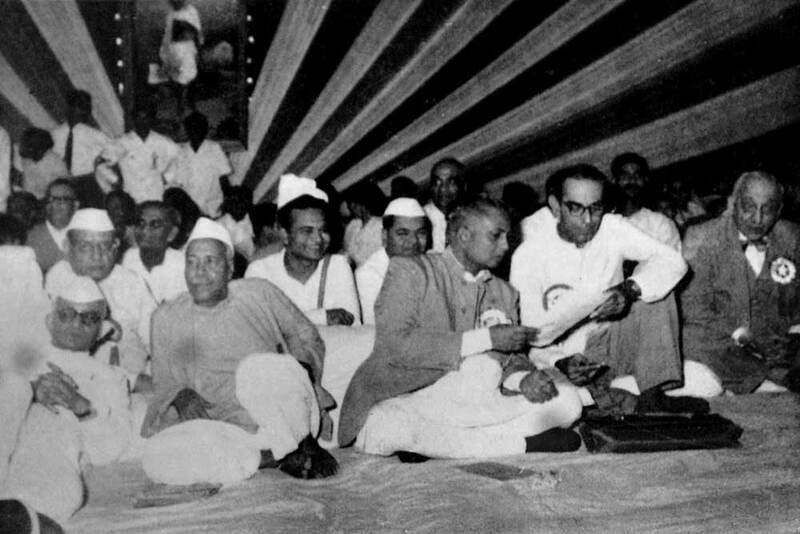 The Swatantra Party provided a political alternative that put the individual in the centre, protected freedoms as well as democratic institutions. The party’s ‘statement of principles’ spoke about “maximum freedom for the individual and minimum interference by the state, consistent with the obligation to prevent and punish anti-social activities, to protect the weaker elements of society and to create the conditions in which individual initiative will thrive and be fruitful”. There were many details, but this was the overarching theme. Personal, intellectual and cultural freedoms were sacrosanct. Nothing brings this out more than the 21st principle, which gave Swatantraites freedom to take their own stand on all matters not part of the 20 fundamental principles. The party was very clear that the state should not micro-manage the economy. Its manifesto for the 1962 elections, ‘To Prosperity through Freedom’, contained the now immortal line, “The business of government is government, not business.” In a developing country, it said, the government should confine itself to developing physical and social infrastructure; instead, it was neglecting this and getting into trade and manufacturing. Over the years, the Swatantra Party has been caricatured—especially by the Congress and the Leftists—as a bunch of disgruntled ex-Congressmen with a ‘feudalist-capitalist’ support base, talking about laissez-faire economics, with no real concern for the poor and the marginalised of India. 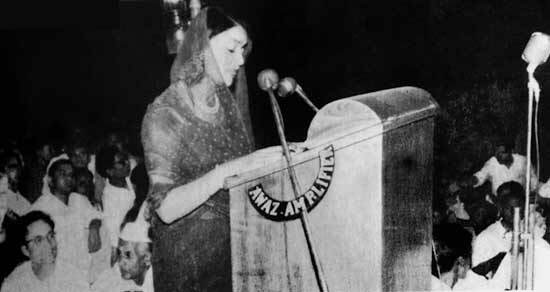 Both Man Singh and Gayatri Devi were attracted to the Swatantra Party, Gayatri Devi went on to win on its ticket. Nothing could be further from the truth. The very first of its 21 principles spoke of social justice and equality of opportunity. The party very clearly said that the overarching goal of development priorities should be to meet the basic needs of the people—roti, kapda, makaan, with paani thrown in. If it opposed restrictions on big business and large landowners, it also spoke for the freedom of small traders and artisans as well as small and landless peasants. It did not see industry and agriculture as opposed to each other, but as providing balance to each other. Laissez-faire economics for it was not about pandering to big business; it was about genuine economic democracy. It was this which was seen as necessary to help the poor to move out of poverty with dignity, instead of mindless populist sops and doles that perpetuate poverty. It never advocated a completely unregulated free market; the state had to regulate distortions, but with a light touch. The Swatantra Party put up an impressive show in the very first election that it contested in 1962, and in the 1967 elections, it became the main Opposition party with 44 seats (ironically the same number of seats that the party it bitterly opposed has now got). It was even part of a coalition government in Orissa. Unfortunately, it made some grievous tactical mistakes, the biggest being going along with the Grand Alliance against the Indira Gandhi-led Congress in the 1971 elections and its adoption of the mindless Indira Hatao slogan (against stiff opposition from Masani and a few others, who wanted to fight on an issue-based common programme). The Swatantra Party was decimated in the 1971 elections, along with the rest of the opposition. After Rajaji died in 1972, personality clashes saw it go steadily downhill. At the last national convention on August 4, 1974, party president Piloo Mody dissolved the party and merged it with Charan Singh’s Bharatiya Kranti Dal. A few state units continued independently till they, barring the Maharashtra one led by Masani, merged with the Janata Party in 1977. Is there any point talking about reviving the Swatantra or forming a similar centre-right party today? There is. The Swatantra Party’s relevance today comes through in Rajaji’s inaugural address to the party, where he warned of the dangers of the state becoming a Leviathan, “menacingly poised against the citizen, interfering with his life at all points...hypnotising the people with slogans that are mistaken for thought and wisdom, a scheme of government in which it is taken for granted that the citizen is ignorant of what is his own interest”. He could well be talking about present-day India. Despite liberalisation, the State hasn’t stepped back significantly; it is a Leviathan and Big Brother rolled into one. 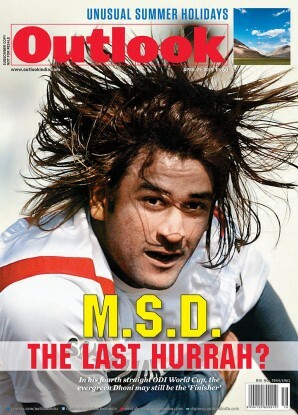 But Indians, especially young Indians, have changed. The younger generation is far more individualistic than earlier ones. 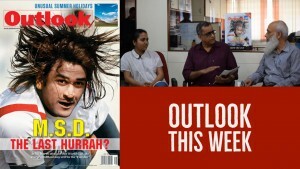 Post-liberalisation India has thrown up a plethora of choices for the young (admittedly along with difficult challenges). They want the opportunities to avail of these choices and want barriers that prevent these to be removed. They want to be masters of their destiny, not be forever dependent on crutches the government provides. The Swatantra Party’s focus on individuals and freedom and rejection of the notion that the state—and political parties—know what is best for the citizen will resonate with it far more than it did with earlier generations. Perhaps that is why the party was known as being far ahead of its time. The party’s voice is particularly missed in the economic sphere, where the economic liberalisation process (one that it had championed) has been tainted by cronyism and taxpayer’s money continues to be pumped into inefficient public sector undertakings. The Swatantra Party’s focus on individuals and freedom will resonate best with the present generation. But it is unlikely that the Swatantra Party can be revived. Raju tried but he found he couldn’t because of the requirement that political parties must swear allegiance to the principles enshrined in the preamble to the Constitution, one of which is socialism. He challenged this in the Bombay High Court in 1996, but the writ has not been heard till date. But apart from Joshi’s Swatantra Bharat Party, there are others who are not letting this obstacle come in their way. A Swarna Bharat Party, mentored by Sanjeev Sabhlok, a former civil servant now settled in Australia who’s been working for a liberal political party, got registered last year. The agenda of many of the new parties that have surfaced in recent years are remarkably like the Swatantra Party. But will the Indian public take to a party which shuns populist appeals? Will a centre-right party get support in the rural areas (as the Swatantra Party did)? The chances do seem slim. People in India likes their sops and freebies. Barring the youth, the public is not uncomfortable with a mai-baap sarkar. This is borne out by the contrasting fortunes of the Aam Aadmi Party (AAP) and the largest among those in the Swatantra Party mould, the Loksatta Party of Andhra Pradesh. AAP stood out for its overtly populist stance and has been far more successful. Rural India too could prove tricky, though the Swatantra Bharat Party is focused on this area and the Swarna Bharat Party too is keen on getting farmers onboard, both of them using the economic freedom pitch. One stumbling block is that personal freedoms are not a major issue in the more conservative rural areas. And yet, in both rural and urban areas, the young are beginning to value their personal freedoms and are rebelling against outdated social mores. Like their parents, they too may want sops but whether they will feel the same if they see that this is leading to a meddlesome state is debatable. Young India wants the government off its back; but wants it to carry out its essential responsibilities. None of the existing parties understands the philosophy of minimum government or a small state. Narendra Modi’s minimum government is about reducing red tape, not recas­ting the state’s responsibilities. A Swatantra Party clone may not get electoral success, but the country desperately needs a cogent centre-right political voice of the kind the party represented.